You will be taken on a full-day tour to visit the Venetian Villas. You will be taken on a half-day tour of the hills in the Valpolicella area, located at the foot of the Veronese pre-Alps, to discover new tastes and landscapes. You will be taken for a day trip to the hills of Soave, east of the city of Verona. Soave is located at the bottom of the Alpine foothills, with gentle slopes that have for many centuries been an area of quality grape growing. In fact, wine of international fame is made here, thanks to the excellent quality of the white grapes grown in the surrounding area. You will be taken on a day trip to Madonna di Campiglio, one of the most popular holiday resorts in the Dolomites, located in the wide valley between the group of Brenta Dolomite mountains and the glaciers of mounts Adamello and Presanella. We propose a day trip to the top of Mount Lagazuoi. We propose a day trip to the Pordoi Rifugio. We propose a one-day tour to the Faloria guest chalet. We propose a one-day tour to the peak of the Tofana di Mezzo. We propose a day tour to the Rifugio Auronzo. You will be taken on a day's shopping trip to the Franciacorta Outlet Village. Franciacorta is a hilly area between Brescia and Lake Iseo, known for its wine production but also for the opportunity to go bargain shopping. You will be taken to Verona for a very special evening. The city of Verona is known worldwide as the city of love thanks to Shakespeare's "Romeo and Juliet". We can recommend the right location for a romantic dinner in Verona. You will be taken to the historic center of Verona - to the beautiful Piazza Bra, in front of the Roman Arena. You will be taken for a romantic dinner in Venice. Expect to arrive in Venice for the cocktail hour; you can take a private taxi boat that will take you to St Mark’s Square, where you will enjoy a magnificent sunset. 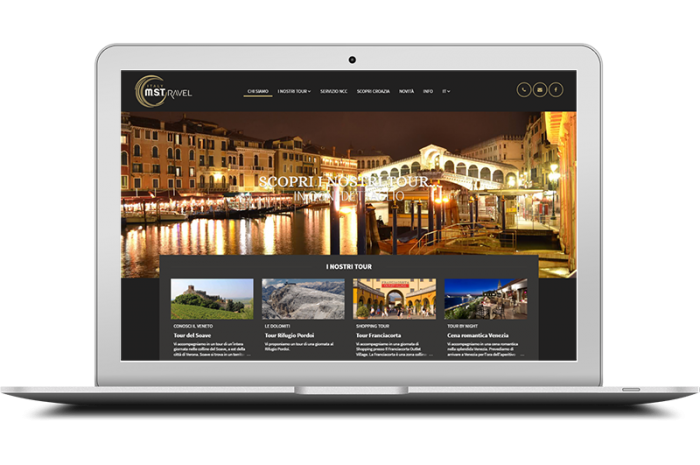 We will create, plan and organize your stay in northern Italy. We can offer you the best solutions in the choice of location and all the facilities necessary for a customized trip, making sure that we find the formula that best meets your needs. We organize exclusive tours for individuals or small groups, offering several alternative itineraries from those carefully selected in the Veneto region and throughout Italy; and, on request, we can plan personalized tours. We will accompany you as you discover the local specialities and we will handle every aspect of the organization of your trip, ensuring only exclusive services. We organize trips with particular attention to detail, offering a wide range of proposals to satisfy even the most demanding customers. We will select and book for you only prestigious accommodations.